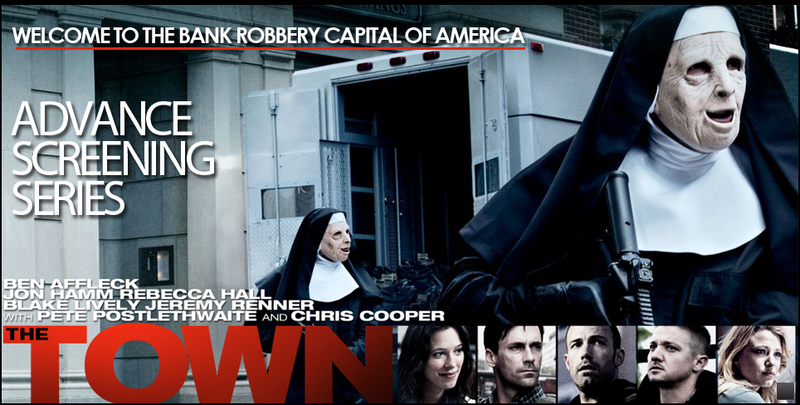 Warner Bros. Pictures is presenting a free advance screening of The Town this Tuesday, September 14, 7:30 p.m. at Regal Ballantyne. The action crime thriller stars Ben Affleck, Jeremy Renner, Jon Hamm, Rebecca Hall, and Blake Lively and is based on Chuck Hogan's novel Prince of Thieves. 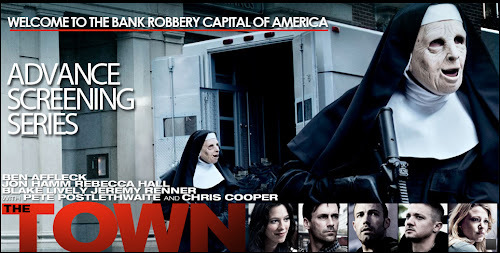 Go to www.screenthetown.com and register ASAP if you want to get in on this limited-seating event.